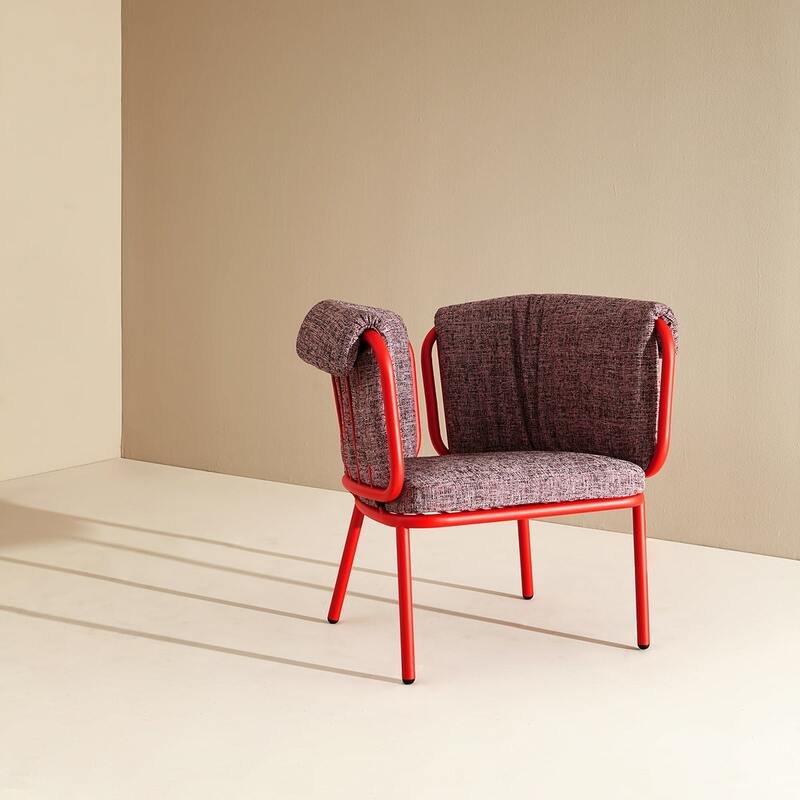 Beckmans College of Design shows design collaborations with six of Sweden’s foremost furniture producers – Blå Station, Gärsnäs, Johanson Design, Källemo, Massproductions and Materia at Stockholm Furniture Fair, February 6-10. 12 final-year students in Product Design have in teams of two collaborated with one each of these companies. Each company has challenged the teams with a brief. During the entire autumn, the companies have generously shared their time and expertise within materials and techniques and the student have collaborated closely with the companies to realize their ideas and to produce a prototype. 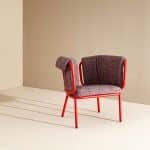 The result of the collaboration is shown in the exhibition Hear Us Out in the Greenhouse at Stockholm Furniture Fair. “It is important for us that the students graduating from Beckmans College of Design are well prepared and qualified to take on a professional brief. This is one of several projects in which our students meet real employers and are thereby trained in communicating with all parties involved, both verbally and visually. They gain an understanding of how many player that are often involved in realizing a product. It is also a fantastic opportunity to be able to design and make a personal impression based on an already established company”, says Margot Barolo, Programme Director of the Product Design programme and Morgan Rudberg, Senior Lecturer at the programme. Kolonn by Lisa Lindh and Klara Hedengren for Massproductions. 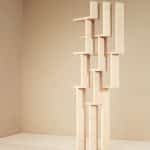 Kolonn is an object that operates between sculptur and room and can both divide and create new spaces. 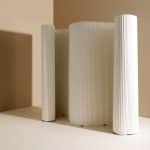 It is the first piece of furniture ever to be entirely made out of cellulose fibers. Vent by Sarah Hasselqvist and Melinda Urbansdotter for Johanson Design. The soft, voluminous, and playful shapes of Vent are inspirered by a rising dough as it swells out between different metal structures. 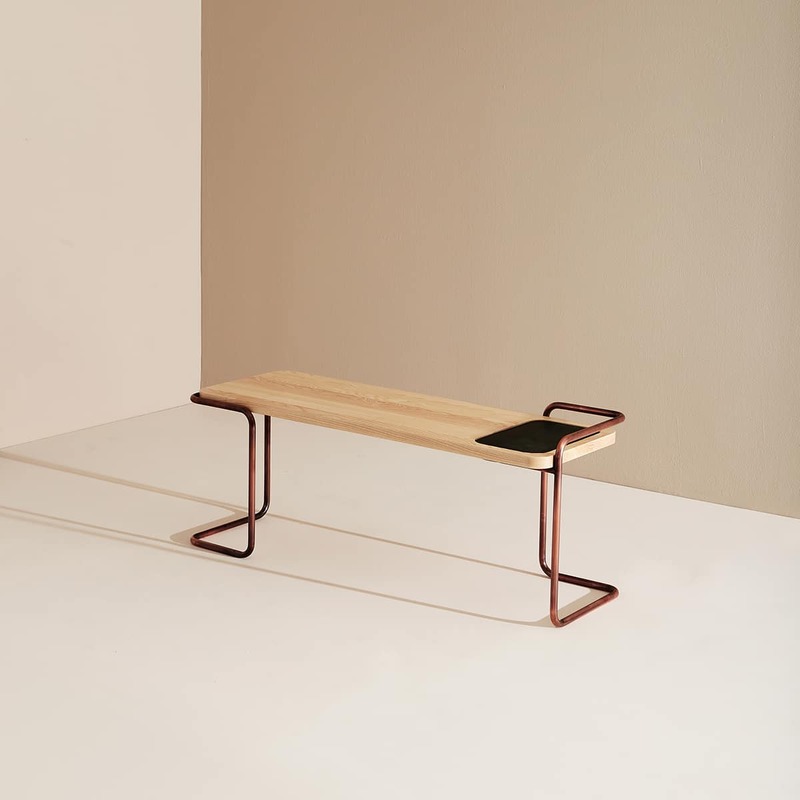 Kaj by Ida Björses and Celine Strömbäck for Blå Station experiments with balance and mirroring forms, symmetry and assymmetry seeking a construction that emphasizes each one of the materials wood, leather and metal. 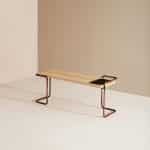 A piece of furniture that can be used as a hall furniture and a sideboard with both seating and a counter top. Fortuna by Hanna Stenström and Jennie Adén for Materia. 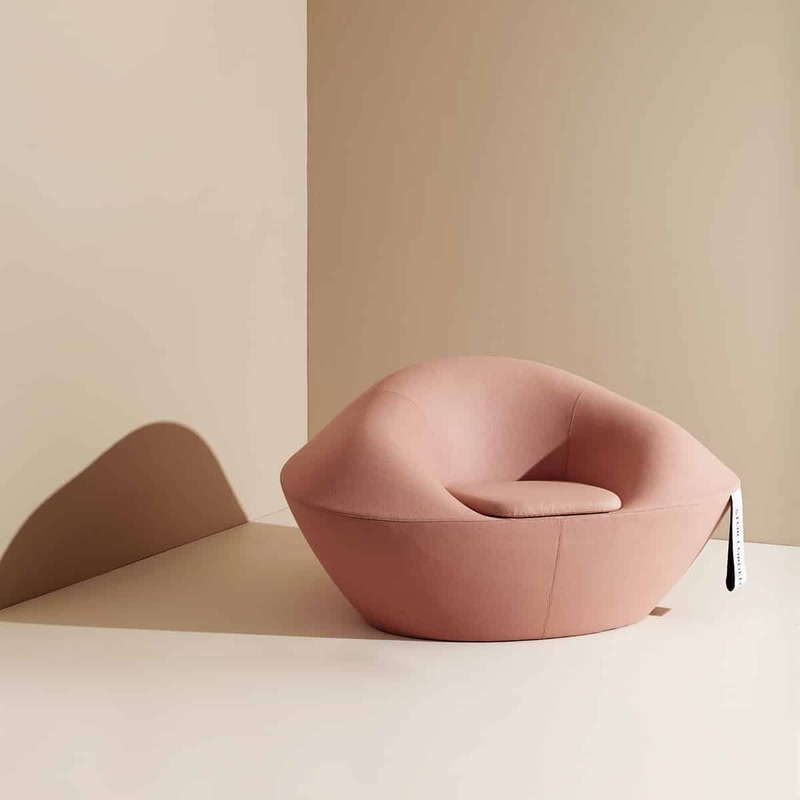 A large, organic piece of furniture inspired by the shape of a fortune cookie and emphasizing Materia’s expertise in needlework. The stool-series Fransson by Anna Herrmann and Lisa Jonsson for Gärsnäs. A stackable stool in which the materials pine, beech-wood, and walnut combined with leather and textile give the stools different expressions. The skilled craftsmen and engineers of Gärsnäs, with their absolute feeling for craft skills and quality, have inspired the students. 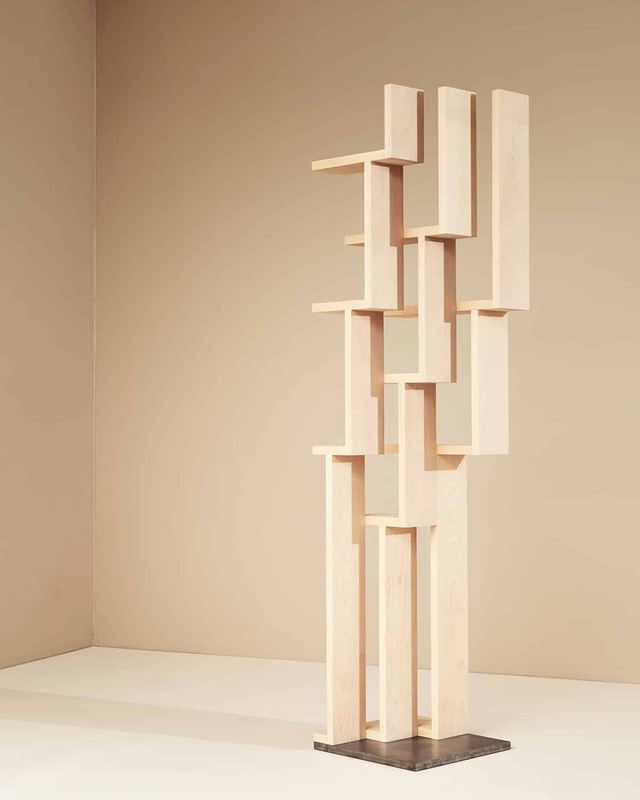 The shelf Arbor by Madeleine Nelson and Frida Pettersson for Källemo. The shelf is a practical item of furniture that can house a varied content as well as function on its own as a sculpture with an architectonic expanding expression. The materials birch wood and iron, are both taken from Källemo’s library of materials. 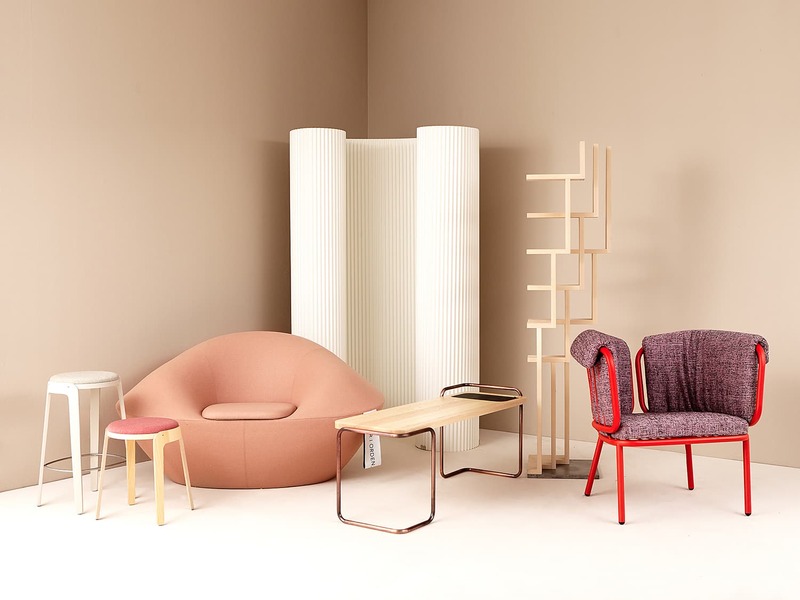 Two Design Talks are arranged during Stockholm Furniture Fair in which students and representatives from the companies are included in the panel. The first talk discusses the relationship between industry and designer, and the second talk is about prototyping. The talks are moderated by design strategist Lia Forslund.